You’ve heard about Michelle Obama’s memoir, no doubt. It was always destined to be the Christmas purchase for many late last year. I spent a good chunk of my holiday listening to the audiobook. And yes, I’m here to confirm reports. It is really very good. 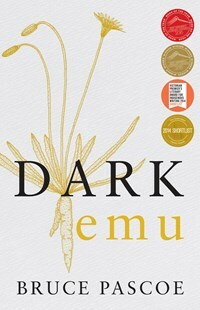 Dark Emu, Black Seeds: Accident or Agriculture? Was published almost five years ago now. Shamefully, it had slipped my radar then, despite it sweeping almost every award imaginable. It was shortlisted for the Queensland, Victorian and NSW Premier’s Literary Awards, winning in NSW for Book of the Year. It’s a deserving achievement. Bruce Pascoe’s non-fiction historical work is required knowledge for any Australian. It’s a re-focusing of the lens on Indigenous Australian history. It shouldn’t be a tectonic shift, but it is, bringing voices and practices from the past into sharp relief. When the book was mentioned to me, unprovoked, by three separate people in the space of a month (in late 2018), I knew I couldn’t ignore it. Bruce was born of Bunurong and Tasmanian Aboriginal heritage in Melbourne, where he grew up and became a leader in the education sector. He is also, helpfully, an informative and striking writer. Pascoe’s premise, that pre-colonial Aboriginal Australians have been unfairly dismissed as ‘simple’ or ‘primitive’ hunter-gatherer societies, could be dry and academic in the hands of a lesser writer. Pascoe’s skill for insight and story craft make it the compelling argument it deserves to be. The wonderful destruction of the colonial narrative is all the more satisfying because Pascoe uses the very instruments of the colonial men against them. Diaries of explorers and pioneers are forensically inspected to present a fuller picture of Indigenous life. One explorer tells of coming upon a tribe that had built a small village on a floodplain. Upon his arrival, he was greeted warmly, given roast duck, cake, and his own dwelling. Elsewhere, Pascoe describes enormous man-made dams, and agricultural practices designed to feed 5,000 people. Agricultural history may not be the Summer beach reading hit, but it’s telling that readers of this book become evangelical about it. I’m sharing stories with you now in the same way the book was summarised for me. It’s a landmark achievement for Pascoe, not only in terms of content but the book’s popularity. It gives us hope for the twenty-first century, that Australians might finally be able to reckon with aspects of our past. This is a pre-loved book - in perfect reading condition. This is a pre-loved book, but it is in perfect reading condition. Daniel Pink describes six essential aptitudes that should engender professional success and personal satisfaction in the conceptual age. This is a pre-loved book, in perfect reading condition. Paul Lohman and his brother Serge and their wives are going to dinner. Paul knows the evening will not be fun. The restaurant will be overpriced and pretentious, and almost everything the charismatic Serge does will infuriate him. But tonight's get-together will be worse than usual because there is something the two couples have to discuss. When the small talk is over, the conversation will turn to their teenage sons. And the terrible thing they have done. And how far the four of them will go to save their children from the consequences of their actions. This is a pre-loved book in perfect reading condition. Pirriwee Public's annual school Trivia Night has ended in a shocking riot. A parent is dead. Liane Moriarty's new novel is funny and heartbreaking, challenging and compassionate. The No. 1 New York Times bestselling author turns her unique gaze on parenting and playground politics, showing us what really goes on behind closed suburban doors. This is a pre-loved book in excellent reading condition. Orphaned at an early age, Philip Ashley is raised by his benevolent cousin, Ambrose. Resolutely single, Ambrose delights in making Philip his heir, knowing he will treasure his beautiful Cornish estate. But Philip's world is shattered when Ambrose sets off on a trip to Florence. There he falls in love and marries - and then dies suddenly in suspicious circumstances. Before long, the new widow - Philip's cousin Rachel - arrives in England. Despite himself, Philip is drawn to this beautiful, mysterious woman. But could she have masterminded Ambrose's death? This is the remarkable story of one endearing dog's search for his purpose over the course of several lives. More than just another charming dog story, "A Dog's Purpose" touches on the universal quest for an answer to life's most basic question: Why are we here? This is a pre-loved book in prefect reading condition. I promise you one thing, young lady. Building a fence is not going to keep the world out and won't keep your children in. Life's not that simple." Gwen Hill has lived on Green Valley Avenue all her adult life. Here she brought her babies home, nurtured her garden and shared life's ups and downs with her best friend and neighbor, Babs. So when Babs dies and the house next door is sold, Gwen wonders how the new family will settle into the quiet life of this cozy community. Taylor and Sierra have been best friends for their whole lives. But Taylor's fed up. Why does Sierra always get what - and who - she wants? From kissing Taylor's crush to stealing the guy they both met online for herself, Sierra doesn't seem to notice when she hurts her friends. So when Sierra says Jacob Jones is the one and asks her friends to cover for her while she goes to meet him for the first time, Taylor rolls her eyes. But Sierra doesn't come back when she said she would. One day. Two days. Three ...What if Taylor's worrying for nothing? What if Sierra's just being Sierra, forgetting about everyone else to spend time with her new guy? When Taylor finally tells Sierra's mum that her daughter is missing, Taylor and her friends are thrown into a dark world they never even knew existed. Can Taylor find Sierra's abductor in time? Or should she be looking for a killer? When a former police officer and paramedic writes a novel inspired by true stories of online predators and love gone wrong, you know you're getting the real deal. Ernest Cline apparently came from nowhere. A slam poet and screenwriter of moderate success, there was no particular reason to suspect that his first novel would become a cultural phenomenon. But it did. Ready Player Oneis Cline’s first novel. It was published in 2011 after a lengthy bidding war between publishers. The film rights were sold the following day. Apparently everyone knew Ready Player One was a book to get excited about. Now, the Steven Spielberg movie is about to hit screens, and the initial slew of reviews are full of praise. Here’s the gist: in a near future dystopia, the poverty-stricken middle-class are addicted to virtual reality. Our young hero is Wade Watts, who joins millions of other players in the ‘Oasis’ - a game designed by an eccentric genius, James Halliday. In a Willy-Wonka style set-up, Halliday’s death brings about an irresistible call to arms: there is a secret hidden inside the game. The one that finds it will inherit Halliday’s enormous fortune. Wade must face off against a plethora of enemies and challenges to find the treasure. Each plot point is saturated in 80’s nerd nostalgia. Pop culture references abound: Dungeons and Dragons, War Games, Star Wars, Joust, Pac-Man, Black Tiger, BladeRunner…even Monty Python and the Holy Grail. When I read Ready Player One a few years ago, I was hit with such a beautiful whack of nostalgia that I was immediately suckered into the narrative. I couldn’t put the book down. It is, unmistakably, wonderfully written. Even though I am probably five years too young for the pop culture sweet spot that this book trades in, it didn’t matter. The book felt like my childhood, it reminded me of so many teenage pop culture experiences. It gave me a kind of literary high. I don’t use the allegory lightly - it was like a drug. I couldn’t stop reading. It felt great. I don’t think I’d quite experienced anything so engrossing since Harry Potter. Cline’s earlier work provides some clues to this blockbuster. His early couple of screenplays focus on fandom, or passionate specific niches of pop culture. Ready Player One came at just the right time in a cultural zeitgeist. Television streaming was becoming the norm and all your old, favourite TV shows were more accessible than ever before. Virtual reality is inevitable. Generation Y and the millennials were coming of age, and everything old is new again. Despite its futuristic setting, Ready Player One is a book that relies on nostalgia. It both exploits and is responsible for the current cultural zeitgeist of resurrecting the 80’s and 90’s. In the last few years we have seen the re-launch of a cacophony of pop culture icons: The X-Files, Will & Grace, Full House, Star Trek, Star Wars… Not to mention the entire film industry almost being swallowed alive by superhero comics. Some of the biggest original pop culture hits, while independent of any existing franchise, also deliberately self-reference the work that influenced them. Stranger Thing’s unique blend of Spielberg, Stephen King and 80’s product placement (and use of the synth, possibly the greatest crime against music ever recorded) is a heady and intoxicating mix for the nostalgia-hungry folk of my generation, who can’t quite bring themselves to grow up. If I sound grumpy, it’s only because I’m fully aware that my childhood memories have become a massive corporate entity…what’s that? A new Star Wars film is out? I’ll pay for three Gold Class screenings please, and I’ll pre-order the books and comics that will release with it right now. Is there a video game spin-off that’s pretty crappy but will probably capture my attention for a week anyway? I’ll grab that too. Collector’s edition? Sure. It makes delightful sense that Spielberg would direct this film. The book references his work many times. Early reviews say it’s a return to 80’s form for Spielberg. From the look of the trailer, he’s managed to incorporate a whole range of other visual references into the jam-packed adventure tale. The cynic would roll their eyes at the whole charade. After all, there’s nothing particularly new in Ready Player One. There’s nothing innovative. And it knows this. But out of the hundreds of books that I’ve read over the last few years, it speaks to me unlike any other. And this back-referencing of childhood isn’t exactly new. Grease, after all, is set in the 50’s, but was released in the 70’s - a perfect, generation-sized gap designed to appeal to the 30 and 40 year-olds of the time. The first Back to the Future film, released in 1985, winds the clock back to 1965. Almost Famous, released in 2000, is set in 1973 and drenched in the popular music of the time. Nostalgia is a commodity. Ernest Cline, Steven Spielberg and Ready Player One are cashing in. I, for one, don’t mind. They can take my money. I’m a sucker. From almost any standpoint, the rise of Scott Pape (The Barefoot Investor) is extraordinary, but his dominance over the Australian books best-seller charts is particularly astounding. His 2016 book, The Barefoot Investor: The Only Money Guide You’ll Ever Need, is now probably the most successful Australian non-fiction book of all time. Its success, as I’ve written about before, is driven almost entirely by the sublime management of Pape’s authorial voice. Les Zig’s August Falling starts with a blunt assertion, ‘This is not a love story’. So, right from the get-go a warning not to expect an uplifting story where love conquers all, or even a little as it happens. While I applaud Mr Zig’s authorial honesty, that opening line had me reaching for the Rescue Remedy. Before a friend recommended I read this book by Mary Ann Shaffer and Annie Barrows, my knowledge or interest in the Channel Islands off the coast of Normandy was tenuous at best. The 1980s BBC TV series Bergerac (where a pre-Midsomer Murders John Nettles played a maverick detective, tearing around the island of Jersey in a 1947 Triumph Roadster) was about the extent of my acquaintance with these islands located in the English Channel. It was 1975 when the movie adaptation of Joan Lindsay’s 1967 book Picnic at Hanging Rock was released. I was in year nine at a straight-laced Presbyterian-Methodist private school for girls in Brisbane and I did not read Lindsay’s book before seeing the film.